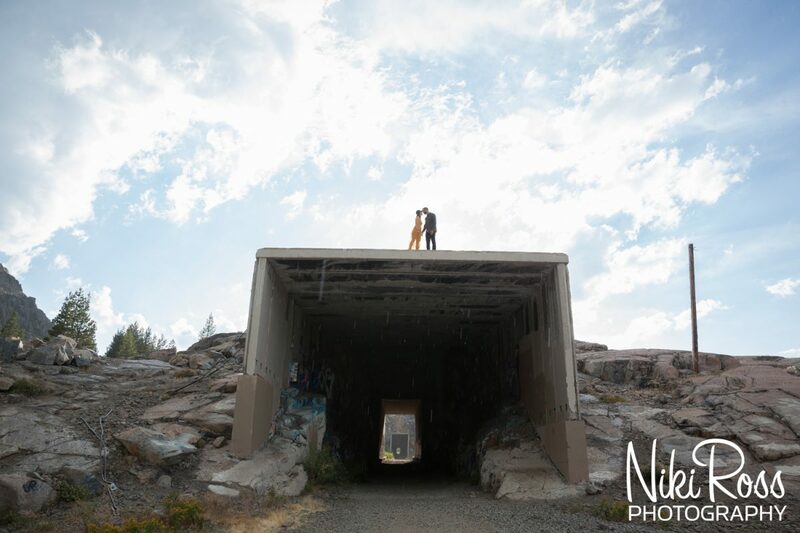 The Donner Summit in Truckee CA is one of the most gorgeous playgrounds in Northern CA. 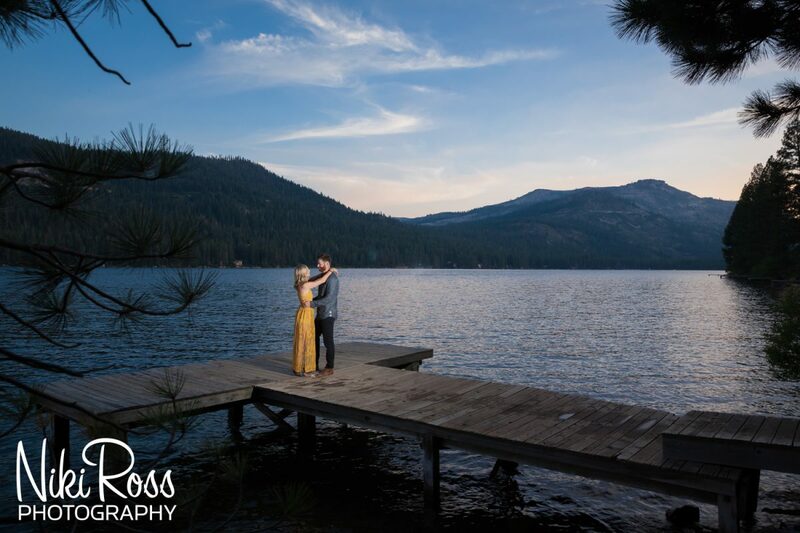 I am lucky that so many of my clients want to capture their special moments in this gorgeous place. 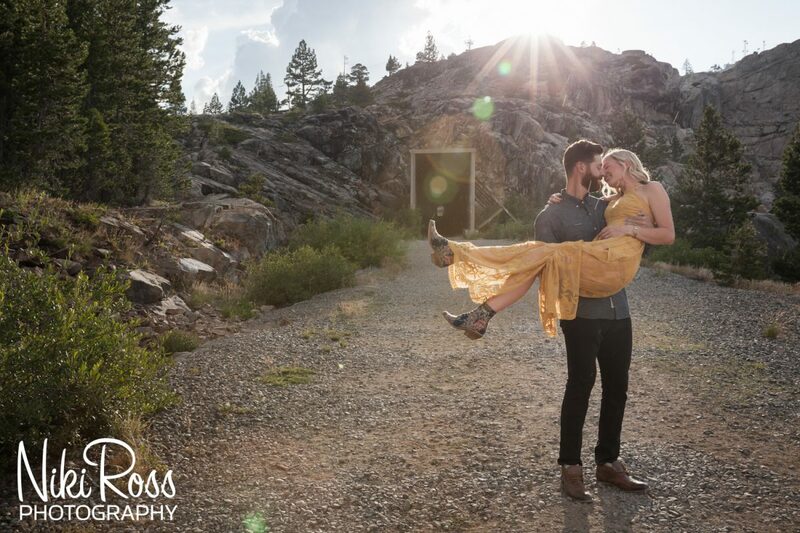 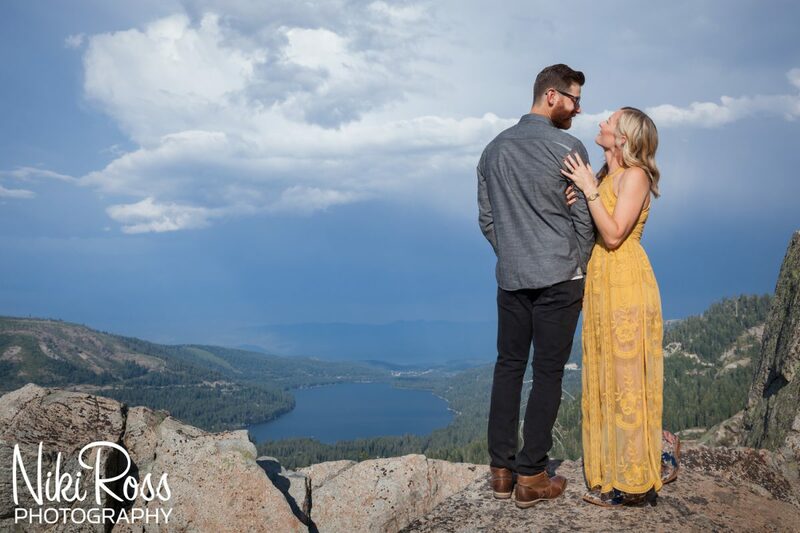 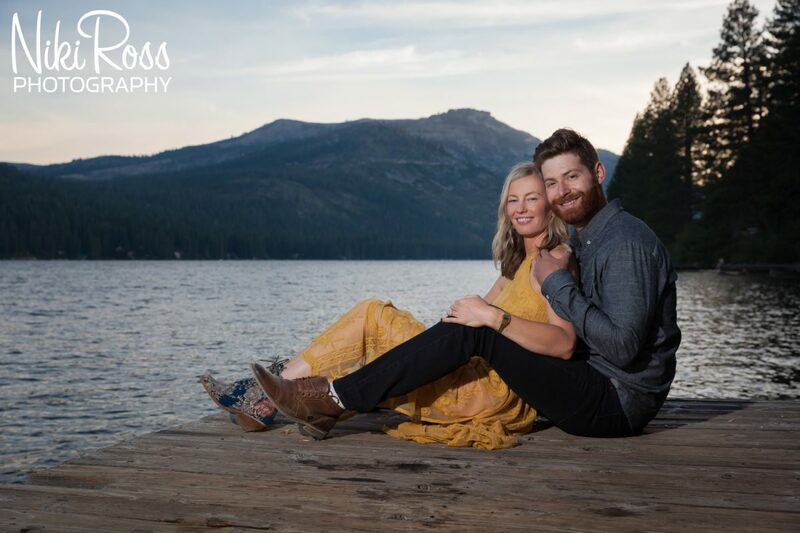 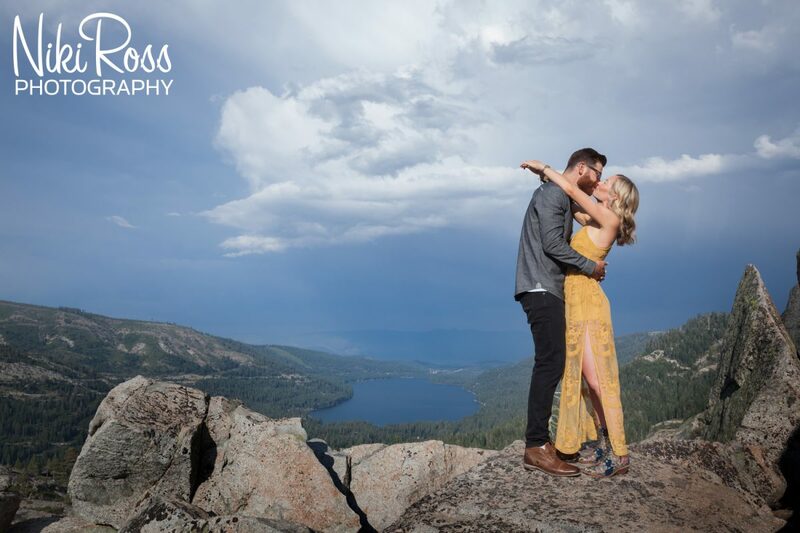 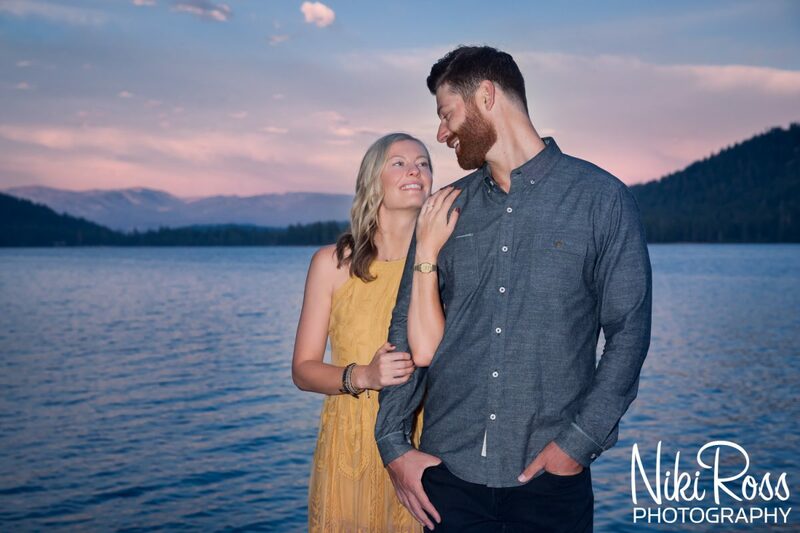 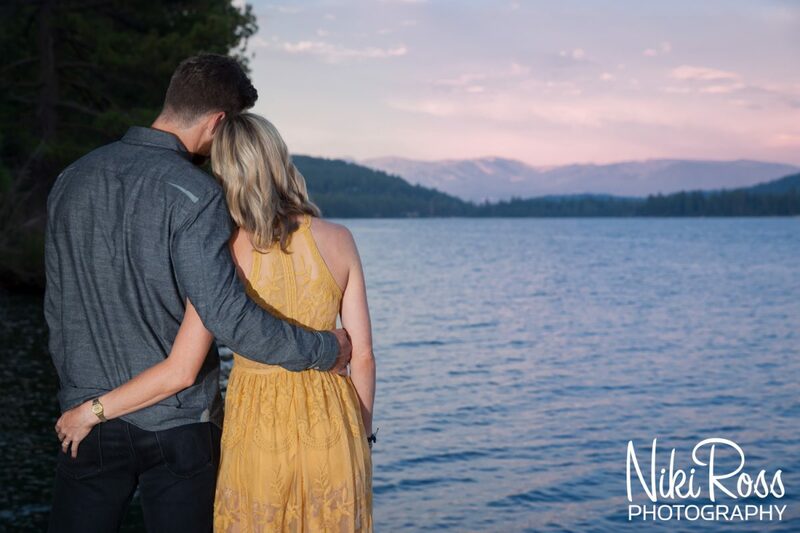 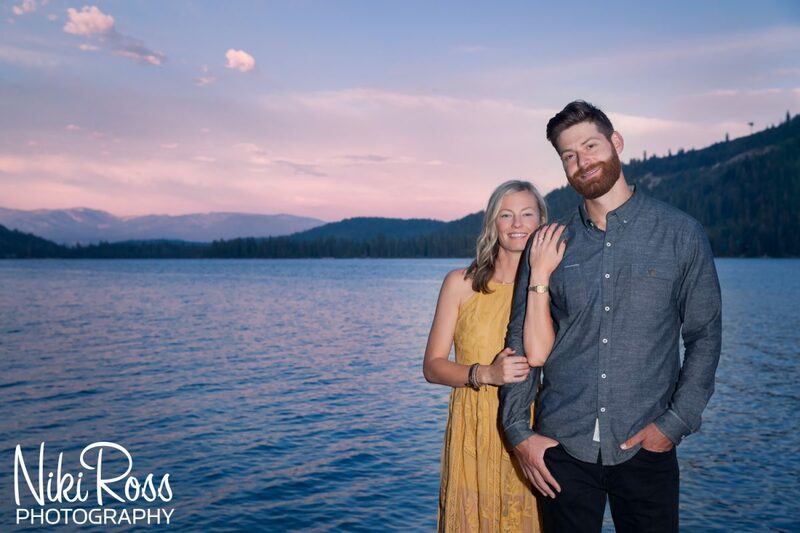 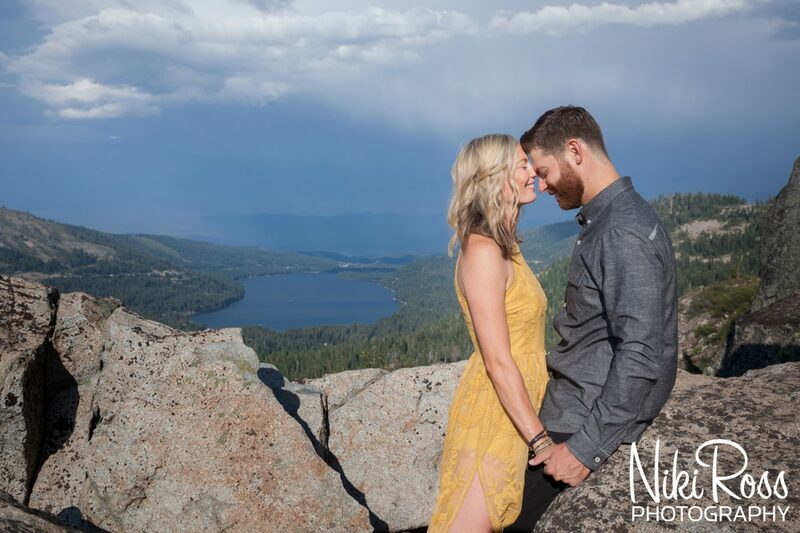 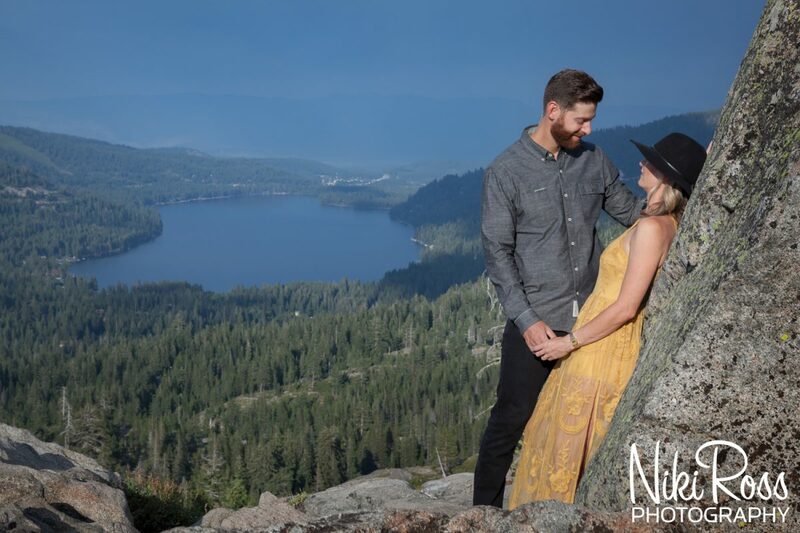 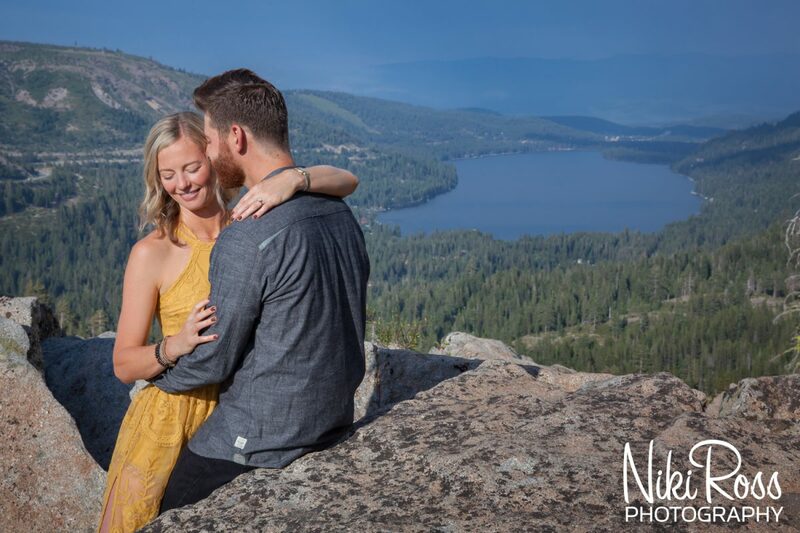 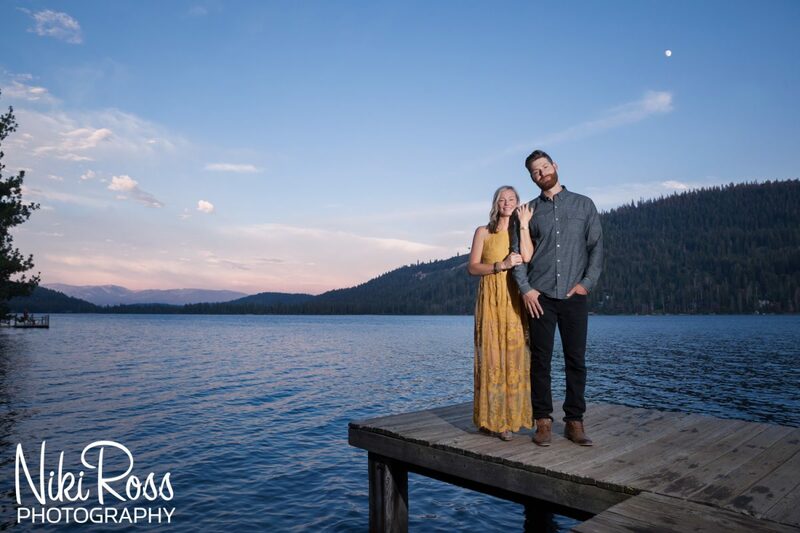 Megan and Joey have shared lots of amazing memories at Donner Lake, so when Joey proposed to Megan he did it on one of their favorite hikes, which provides a spectacular view of the Donner Lake. 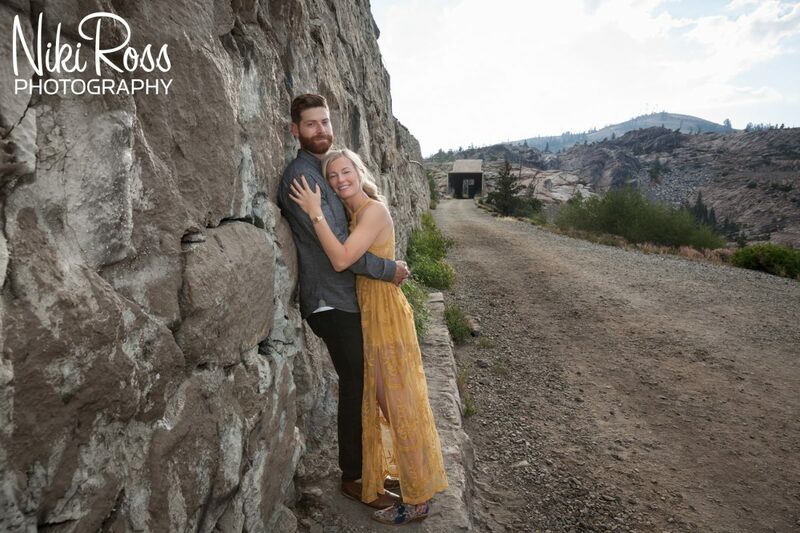 This was where we planned to start their Donner Summit engagement session. 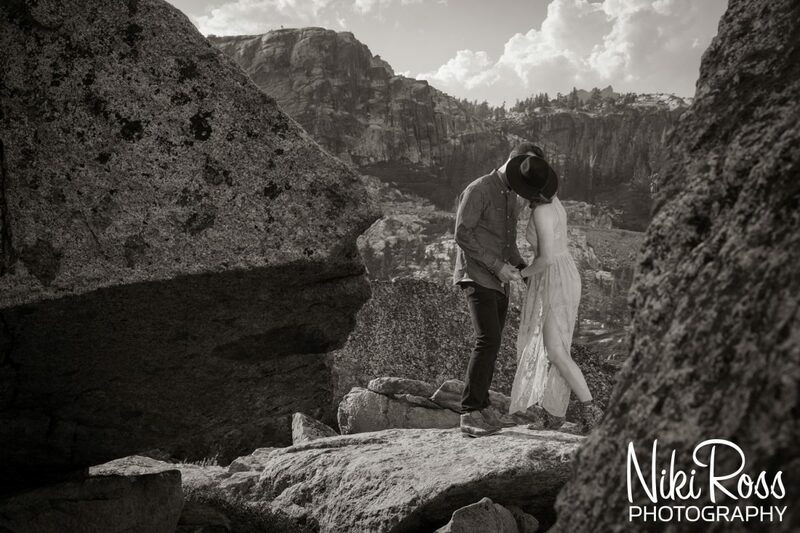 The hike into our location is slightly more unique than most hiking trails. 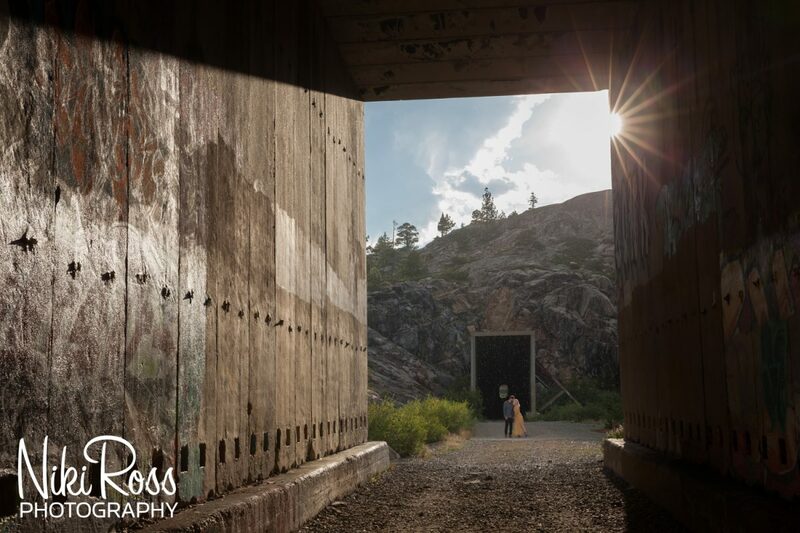 We would be hiking thru historical tunnels on the Historic Donner Pass Trail. 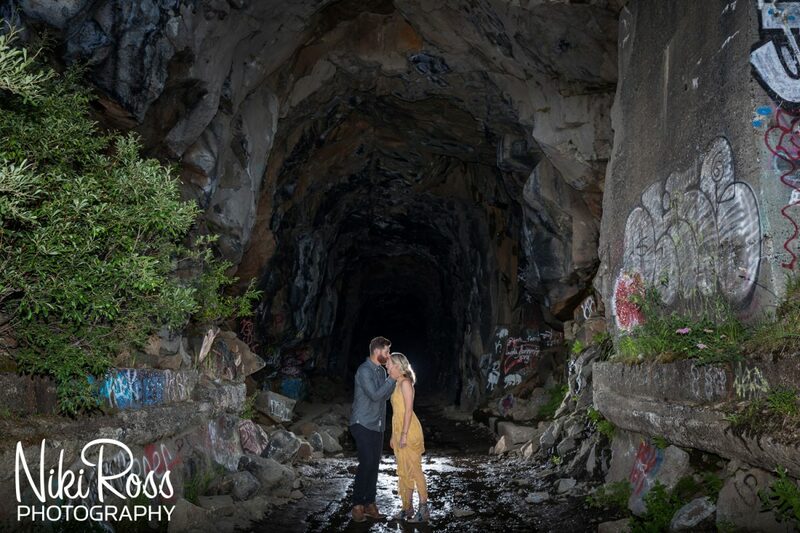 These tunnels are old train tunnels that no longer have any tracks, so they are one hundred percent safe. 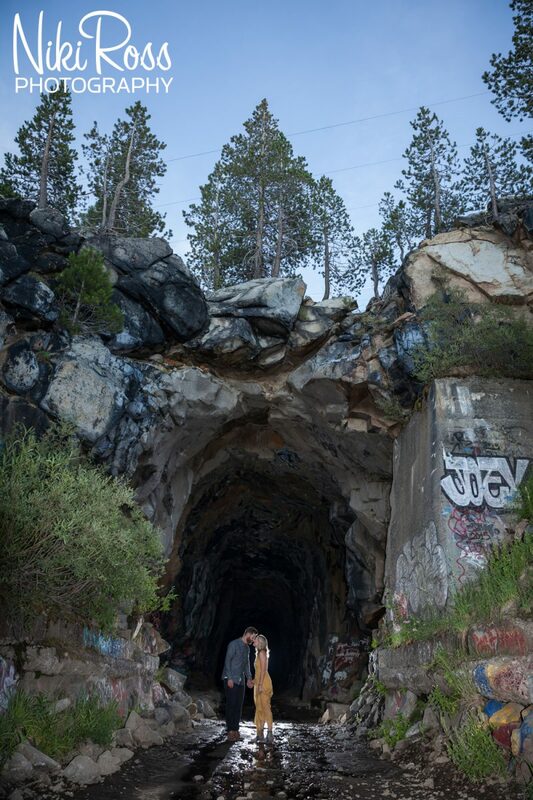 They have plenty of foot traffic and are littered with unique graffiti. 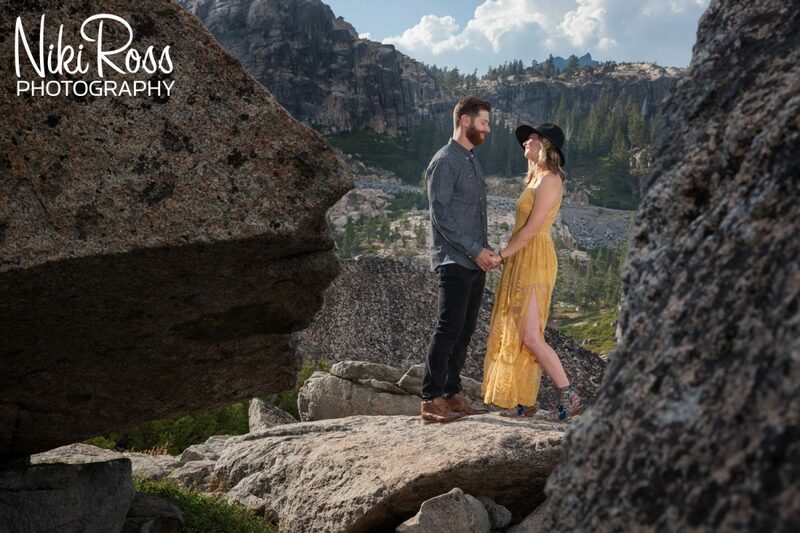 The hike itself is a really fun adventure spot, so as you can imagine, I was so excited to photograph these two at this unique location. 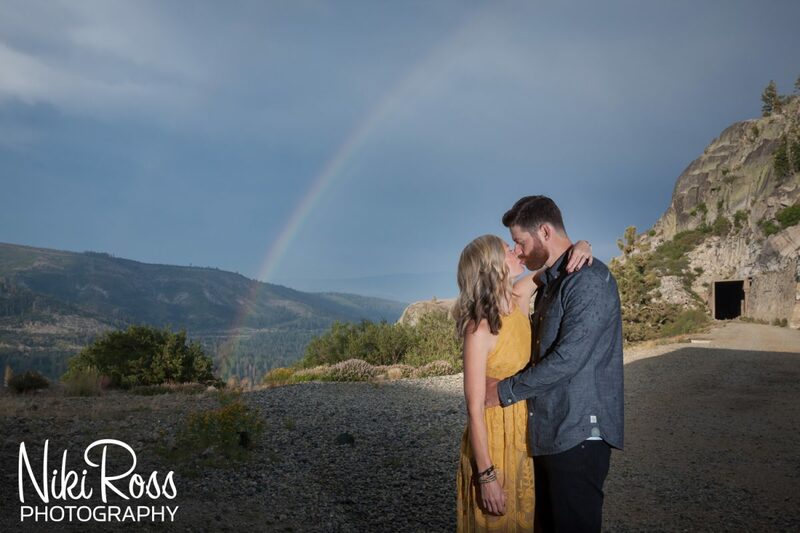 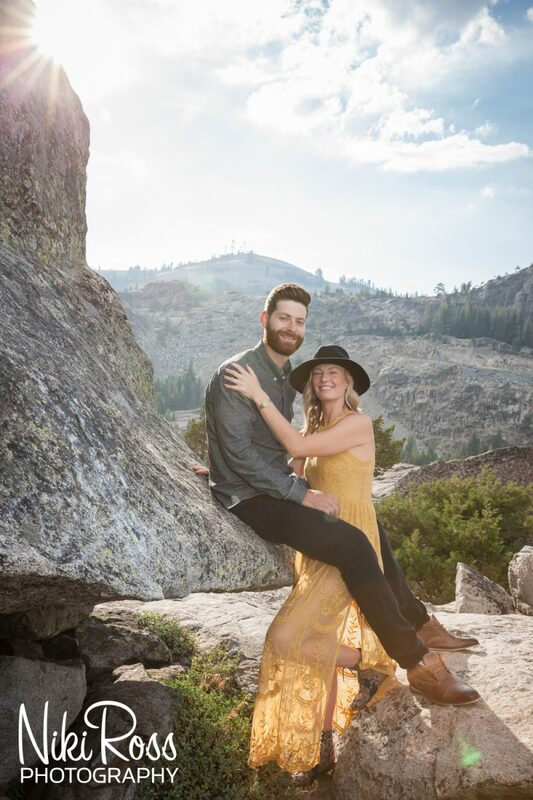 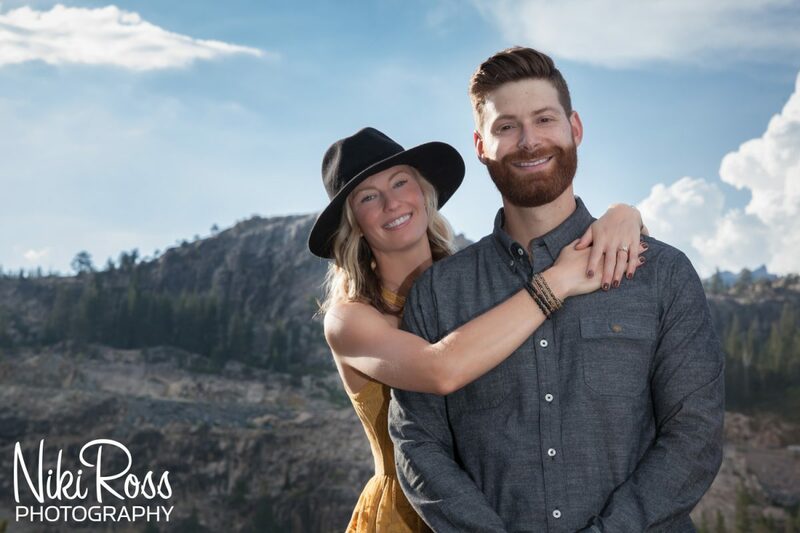 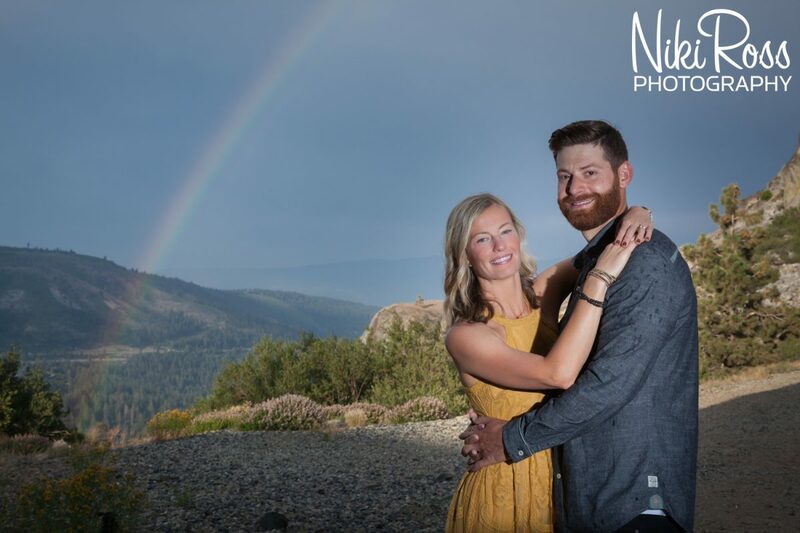 After photographing these two at their view point, getting caught in a quick rainstorm, and catching a lucky rainbow it was time to continue on our Donner Summit Engagement Session. 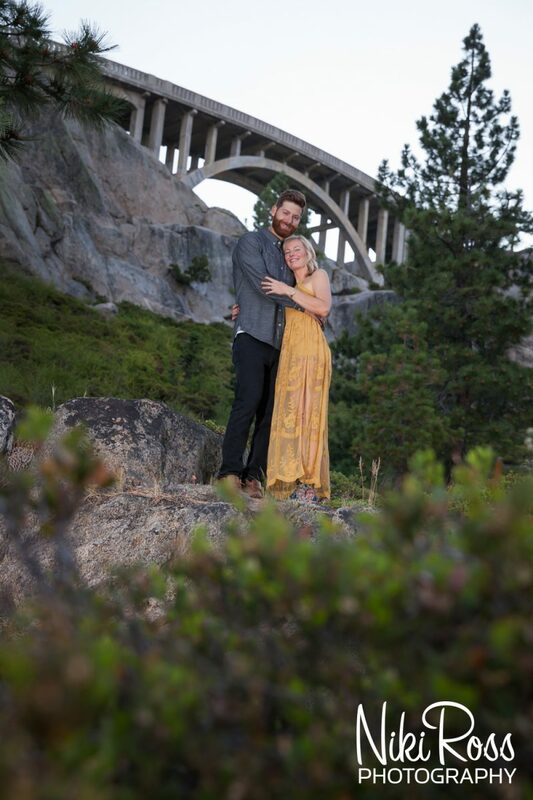 I decided we would get a different angle of Rainbow Bridge by parking below it and getting it behind Megan and Joey, the time of day worked perfect as it wasn’t busy with cars or people rock climbing! 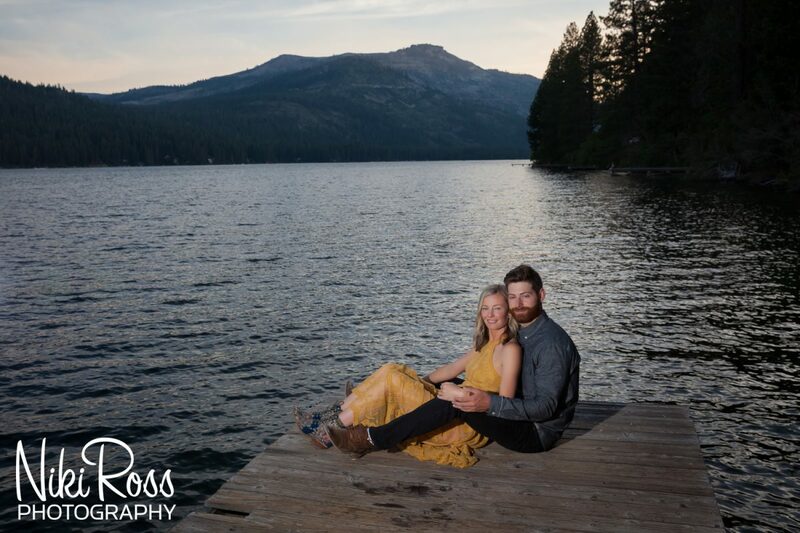 As twilight hit the lake we found a public dock that was open and snagged that last bit of sunlight. 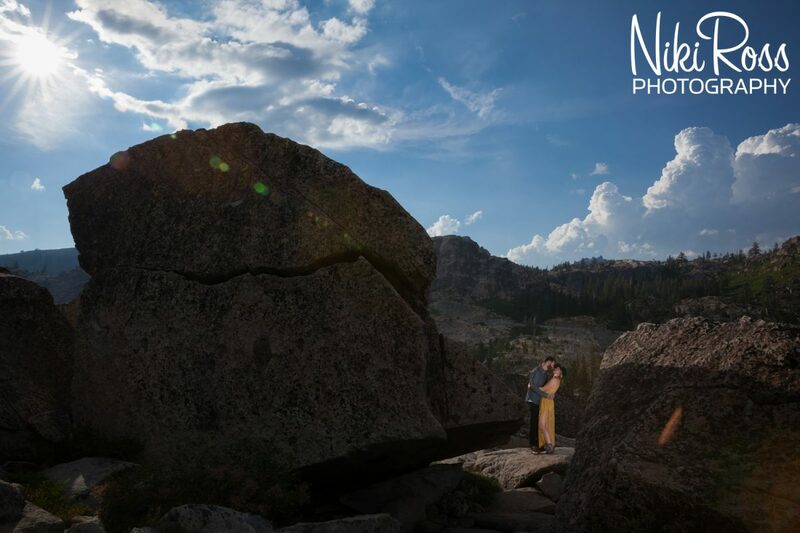 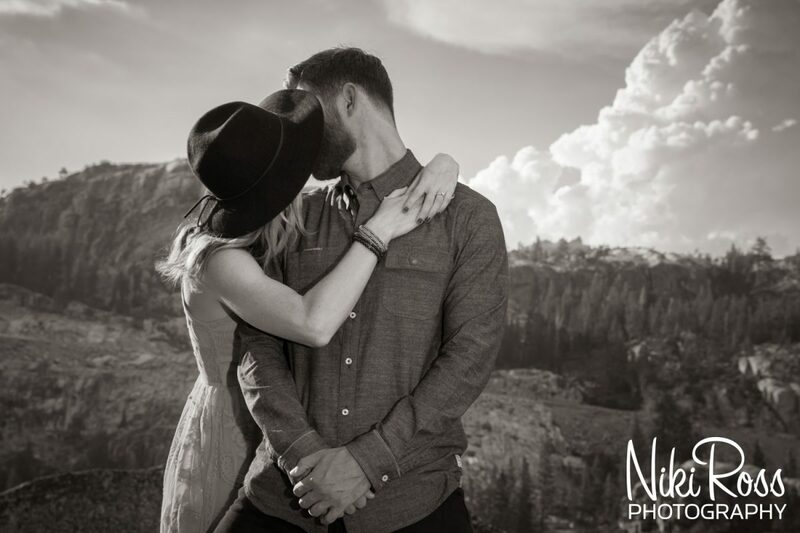 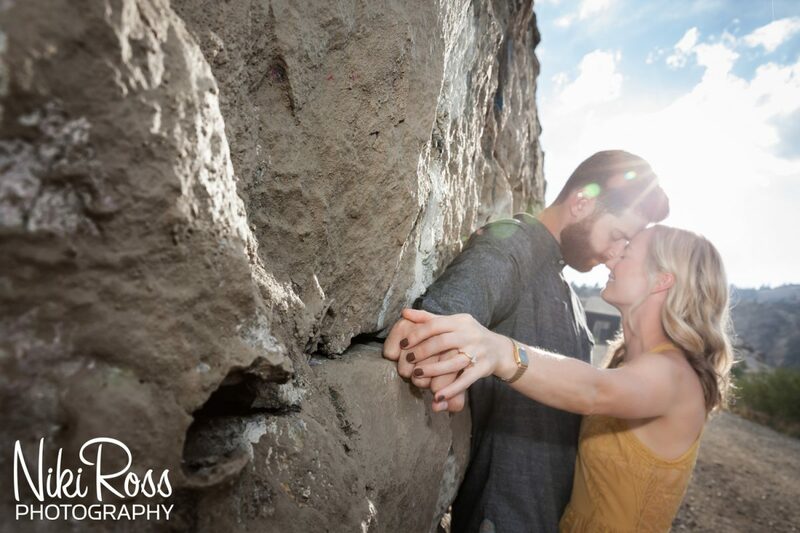 This completed the perfect Donner Summit Engagement Session – Congratulations Megan and Joey on your engagement!